scan QR CODE to download contact details to your device. Dry logs ltd are one of the souths leading suppliers of quality seasoned hardwood logs for open fires and wood burning stoves . 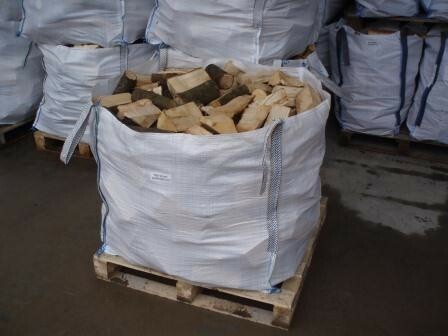 As a result of our consistent high quality most leading stove suppliers and chimney sweeps recommend their customers only use our seasoned firewood logs. from 8 inches to 16 inches, please let us know the size you require when ordering. All deliveries are carried out with our crane vans, we leave the bag with you on delivery, we do like to re-use our bag, so request you keep them for us to collect on the next delivery we make to you. We deliver logs in 1/2 tonne bags all over East and West Sussex, Brighton, Haywards Heath and worthing and surrounding areas using various size vehicles fitted with cranes to lift off the bags, leaving no mess on your driveway, we also now have bags with lid tops so...Dry logs r us. We can deliver any quantity from 1/2 tonne upwards If it is a small amount you require collection is always available from our farm seven days a week. All the hard wood we use is professionally harvested from managed sustainable woodland.. The woodland is carefully managed to ensure the supply of quality fire wood and timber for many generations to benefit from.